When former frontman of Harold Melvin & The Blue Notes and mega-watt solo legend Teddy Pendergrass died in 2010, following more than three decades of R&B hits like “Close The Door” and performances in touring shows like Your Arms Too Short To Box With God, the world lost one of the blueprints of silver-era soul. Resurrecting the blueprint for a new series of duets with a slew of veteran stars using later in life re-recordings by Pendergrass of his old hits is always a dicey proposition. This problematic approach reaches its nadir on the groan-inducing “And If I Had,” where the interplay with duet partner Rose Royce is less a call-and-response and more of a breathless chasing after Pendergrass line by line in a cringe-worthy falsetto -- illustrating why something that sounds exciting on paper is not always a good idea in the real. Not everyone fares quite so bad, as Angie Stone, Jody Watley, Tom Scott, and Maxi Priest demonstrate in ballad duets that feels more natural and balanced. But, generally, the overall feel of these sage newcomers is one of intrusion rather than complement to the man whose voice rarely needed any. After the contentious departure from the group, Pendergrass followed up his early success with an even more impressive four-album platinum coated flow of smashes like “Only You,” “Close The Door,” “Turn Off The Lights,” “Come And Go With Me,” “I Don’t Love You Anymore,” “The Whole Town’s Laughing At Me,” and “Get Up, Get Down, Get Funky, Get Loose.” Halting his stunning crossover run as the early ‘80’s “Black Elvis” was a tragic car accident that paralyzed Pendergrass from the chest down, slowing down the hits to a trickle, including classics like “Joy,” “Hold Me (with Whitney Houston),” and “Believe In Love.” With fourteen solo albums (the best of which were produced by Gamble and Huff of Philadelphia International Records), the producers of the Cleopatra Records compilation had many diamonds to extract from the coal. Yet, they still managed to end up with not much more than a handful of soot. The duets songs that work best in their execution, even as one might question their necessity, are those that don’t feel forced. The Stylistics on “My Latest, Greatest Inspiration” blend into the backgrounds and double in the vocals rather than clumsily trying to echo and follow Pendergrass as was so often the case in this set. It helps that the veterans’ current lead is so close in tone and timbre to Pendergrass that any tradeoffs are nearly imperceptible. On the project’s first single, Angie Stone’s smooth entry into “Love TKO” is effortless in its fit, even if it adds little worthwhile to the track. The Ohio Players on “Somebody Loves You Back” also managed to deliver one of the more feel good moments on the project, like listening to your sangin’ uncles showing off at the family BBQ, complete with smack talking. In what feels more free-floating and appropriate, the project’s quiet storm jam of note features Jody Watley and Tom Scott on “I Can’t Live Without Your Love,” in what is an especially strong vocal by both Watley and Pendergrass. The Watley and Pendergrass song is one of the few on Duets that feels both fresh and radio ready right now. Bonnie Pointer, Eric Gales, and Shuggie Otis (here coupled with The Stylistics again) are serviceable on the rollicking “Only You,” a lukewarm “Close The Door,” and the plaintive “Don’t Hurt Now,” but again beg the question why anyone over at Cleopatra (who recently acquired the rights to the Junior Wells estate, which includes live recordings by Marvin Gaye Chaka Khan, Percy Sledge, Martha Reeves, and Shuggie Otis, among others) felt this project was either necessary or worthy once they had the finished masters in their hands. With few exceptions, most stars here do not come out well via their appearance, not even Pendergrass himself. While baby boomers and Gen Xers are indeed starving for the industry to recognize them as an underserved audience and feed them projects that appeal to their demographics and to the kind of music they grew up with and loved as younger adults, the idea isn’t to cynically give them just any ol’ thing with familiar names and hope they’ll bite. Better to listen to the originals, and bypass this calculated mess completely. 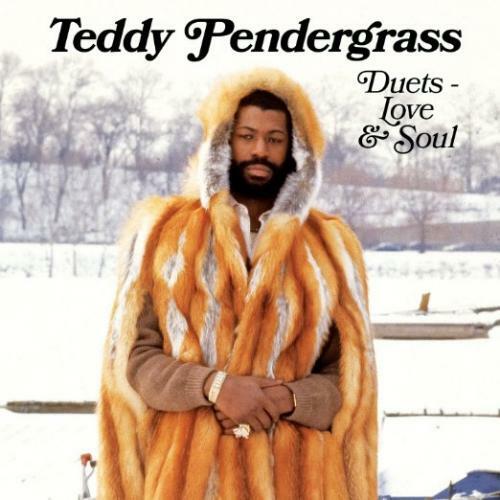 We deserve better and so does Teddy Pendergrass’s legacy. Not Recommended.